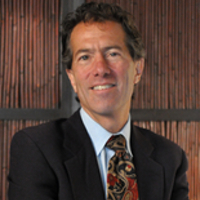 Paul Sachs is committed to providing the highest quality legal representation. It is his dedication to legal excellence, personal service and intelligent, thoughtful advocacy that has led to an unparalleled reputation. Raising the Bar: Integrity and Passion in Life and Business — The Story of Clif Bar Inc.
Paul Sachs is committed to providing advice and counsel to small and large businesses. He will work with you to assess your businesses needs with respect to business formation, contracts, employment matters, intellectual property rights, licensing, zoning laws, and other specialty areas. Ultimately, Paul will help ensure that transactions and legal documents are designed and filed in accordance with local, state, and federal laws. Effective estate planning requires more than the preparation of wills and trusts. Estate and gift tax planning should also be a central component of every family’s plan. Let Paul work with you on adequately addressing the current and expected needs of multiple generations of family members. Paul can also help you structure personal and investment assets, as well as closely held business interests, so as to be in compliance with laws and to minimize liability exposure. Most states in the US require organizations that solicit contributions within the state to register with the state before soliciting contributions to residents of that state. Not only could an organization face significant fines, license revocation and penalties, but also negative publicity for those who fail to comply with state statutes regarding registration.